Legendary Sturgis Indian Motorcycle dealer J.C. “Pappy” Hoel started the Black Hills Classic in 1938. 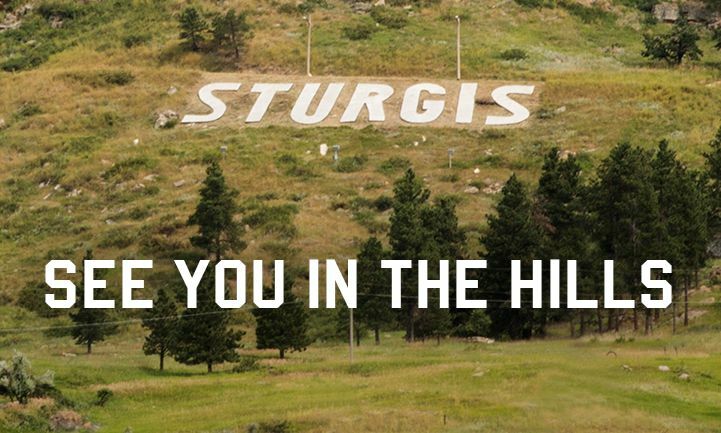 The celebration has stood the test of time and grew into the notorious Sturgis Motorcycle Rally™. Join Indian Motorcycle as we celebrate this epic gathering of riders from across the country with a power-packed schedule of events. Everyone attending this year’s rally will want to explore the entire lineup of 2016 models at the Indian Motorcycle display in Downtown Sturgis. Several customs will be on display, including the “Military Custom Scout”, the “Big Chief Custom”, a 1940s Chief rebuild by Starklite Cycle, and more. Attendees can purchase apparel from Indian Motorcycle of Sturgis on site, sign up to win an epic trip to Daytona Bike Week, get their photo taken on the custom Indian Scout Hillclimb bike, sign the commemorative rider map, and interact with the heritage timeline wall. Riders heading out to the Hills for the day to ride can fuel up from 9 a.m. to 10 a.m. each day with free coffee and donuts. Join us as we welcome a group of America's heroes to America's motorcycle rally. The riders of the Veterans Ride to Sturgis sponsored by Indian Motorcycle will be coming off of 8 days on the road, leaving Los Angeles on Indian motorcycles to attend the 75th. These brave men and women will arrive to a warm and patriotic welcome at our space on Lazelle St. on Sunday afternoon - be there to join the celebration. Help us honor and celebrate those who serve as we salute those who serve on Military Monday with a free commemorative item for all those with a Military I.D. Visit the display for times and specifics. Rides will be led daily with the first ride at 9:15 a.m. and the last ride at 4:30 p.m. Riders must be 18 years of age and must provide proof of endorsement along with a helmet and appropriate riding attire. Passengers are also welcome to ride, no endorsement needed. Indian Motorcycle of Sturgis Dealership, 2130 Main St.
foot showroom located at 2130 Main St. The showroom offers an expanded parts and customization department as well as additional service bays. Take home a piece of the rally with branded Indian Motorcycle of Sturgis gear for every rider. Owners will enjoy a free catered lunch at the Custer State Park Gaming Lodge on Tuesday, August 4th beginning at 11:30 a.m. Pre-registration is required and owners can sign up HERE. Owners are also invited to special attend the Indian Motorcycle of Sturgis dealership for an Open House on Wednesday, August 5th. Throughout rally week, owners can show their key fob at the Factory display on Lazelle or at the dealership to receive a commemorative gift. As an additional bonus, I.M.R.G. members can show their membership card as well and get another bonus item. 98% of Riders Who Try A Flare Windshield, Buy It! Legends Ride Auction Sturgis Rally.